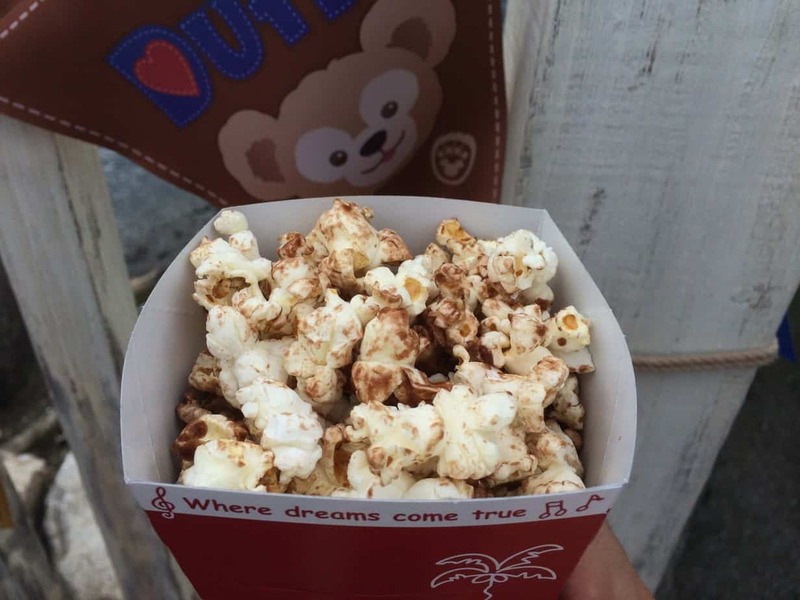 Popcorn is a popular snack at the parks with an array of flavours ranging from the familiar to the truly bizarre that might make you ask, “who would eat that?” A combination of regular (aka always available flavours) and limited flavours are on sale in various locations around the parks. Pick up an English park map to find all the locations. Eating ALL the popcorn might be a bit tough, so let us do the work for you. 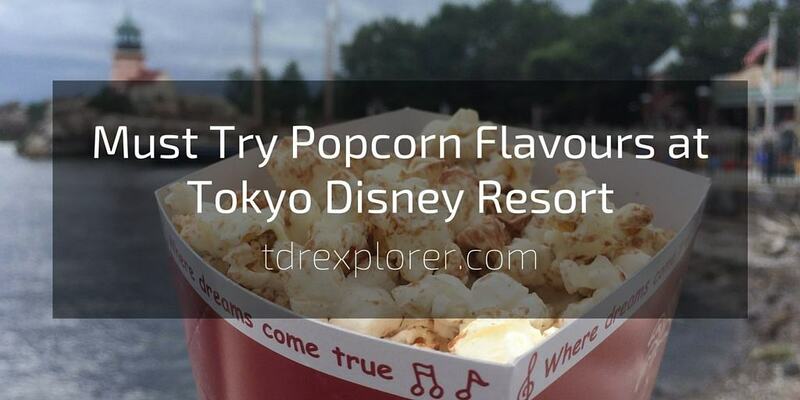 Here are our “must try” popcorn flavours at Tokyo Disney Resort. These are the flavours found at the park on a regular basis. Keep in mind that flavours do switch out from time to time. Check out the chart below for the current flavours. These flavours come and go, and sometimes they make a return if it proves popular enough. We cannot guarantee when and if they are available in the parks. If they happen to be there when you visit, then you simply must have them. 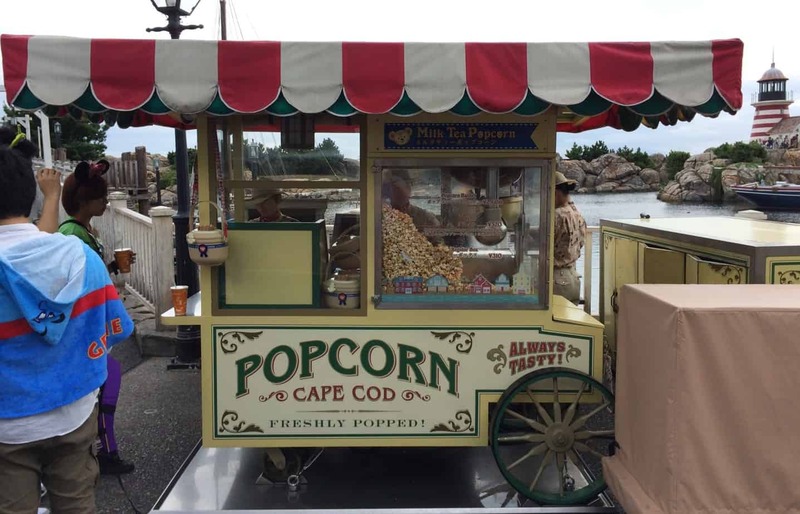 This is a current list of all the popcorn flavours at Tokyo Disneyland & Tokyo DisneySea. 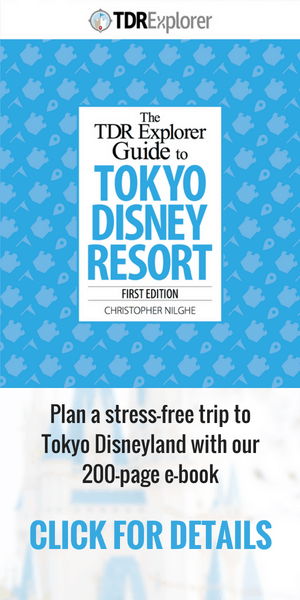 Try this if you make it to Tokyo DisneySea this year! For an updated list of popcorn flavours and what buckets are available, visit the popcorn website for both Tokyo Disneyland & Tokyo DinseySea. It’s in Japanese, so you’ll have to use Google Translate. What do you Explorers think? Which flavour of popcorn have you tried or are wanting to try? Let us know in the comments! You can even get it in a collectible bucket for Christmas. Thank you for reading! Yes, that was definitely a typo, it has been corrected. Thank you for pointing it out! It would be nice if it was 130yen wouldn’t it? 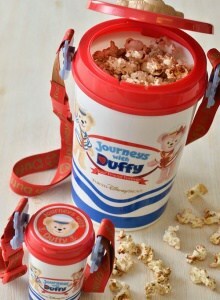 Have fun at DisneySea next week and let us know what your favourite flavour was. A challenge for me as a vegetarian is trying to find out what the popcorn is popped in. I am wondering if you have any clue? 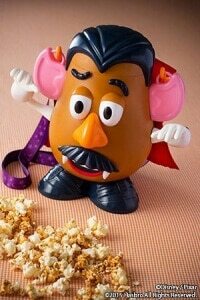 I’m eager to try popcorn on my next trip (missed out on my first TDS trip), but am hitting a brick wall in terms of figuring out who to contact with this question. do you have any ideas? I don’t know off-hand what it’s popped with. You can phone the information center and ask someone there, they should be able to answer. 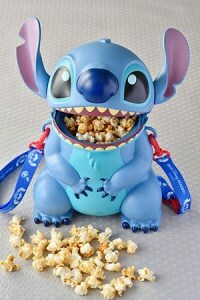 Loved the caramel – any suggestions on how to get that Stitch bucket if I am in the US and not headed to Japan anytime soon? 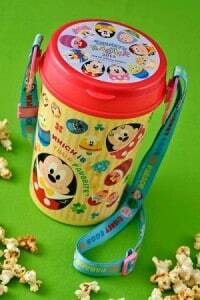 Can you inform the type of popcorn bucket that available at tokyo disney sea and bon voyage? Last year i go to tokyo disneyland, and see so many type of buckey, ie mickey, dumbo, transformer, stitch, mr potato. And now i want buy dumbo, nemo, etc. 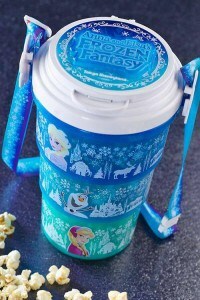 Is there available at tokyo disney sea or bonvoyage? 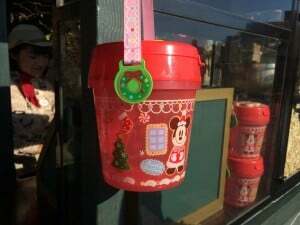 They have a list of what buckets are available at each park on the official website (Japanese only). Thank you! was there 2 weeks ago, and they had Blueberry flavor at DisneySea (not sure about Disneyland). It was awesome.